Looking for an exotic adventure? 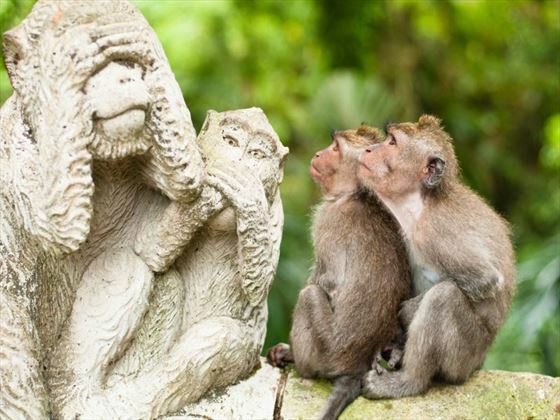 Then this 14-night tour of Bali and Lombok, Indonesia’s most popular islands, is the perfect choice. 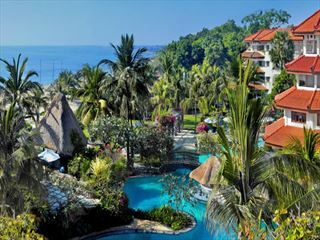 Enjoy snorkelling, treks to mountain view points, cycling through rice paddies and relaxing on white-sand beaches. 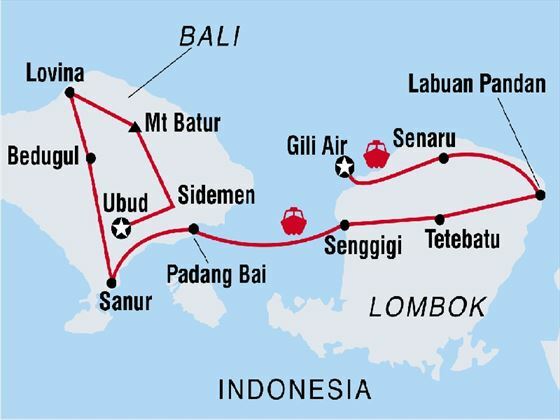 The trip begins in Bali and continues to volcanos, jungle villages and idyllic beaches in Lombok. This is the ideal holiday for those who love culture, adventure and nature (INT - TISBC). 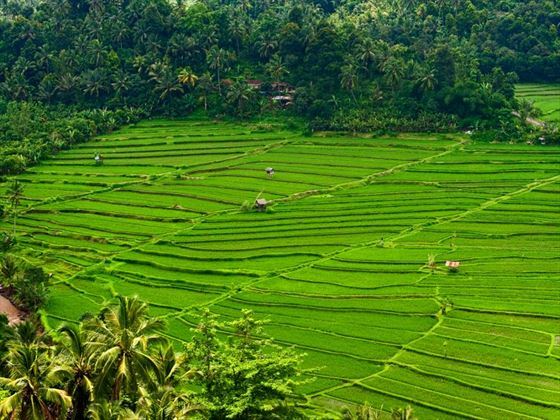 Explore Ubud and its surrounding rice fields on foot and by bike. 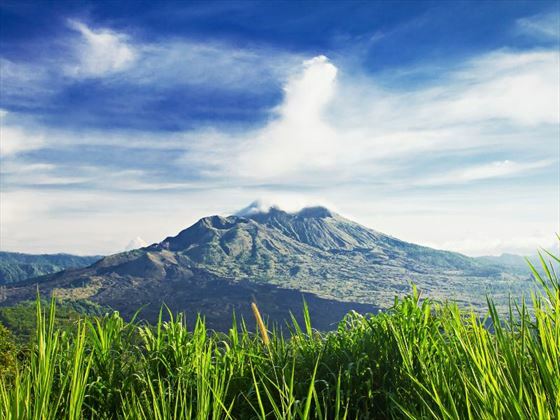 Take a sunrise hike up mighty Mount Batur for views over Bali. Snorkel in the sea and soak in the healing Lovina hot springs. Discover coffee and clove plantations, waterfalls and temples in Bedugul. 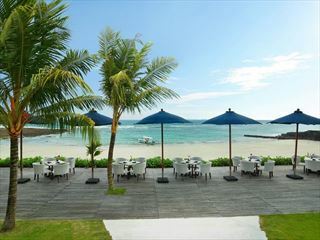 Relax on the white-sand beaches of trendy Sanur. Visit traditional island villages and sample regional foods. End your trip with some beach relaxation on the tropical island of Gili Air. Please note the minimum age for this escorted tour is 15 years of age. Welcome to Bali, Indonesia! Your adventure starts on the island’s spiritual capital, Ubud, with a 6pm welcome meeting at your hotel. If you arrive earlier, head out to explore the peaceful forested town, which is surrounded by lime-green rice paddies. 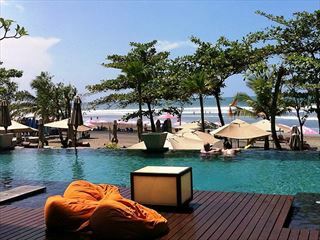 Optional activities include taking a cooking class, visiting a Balinese spa or heading out to the countryside for a bike ride. 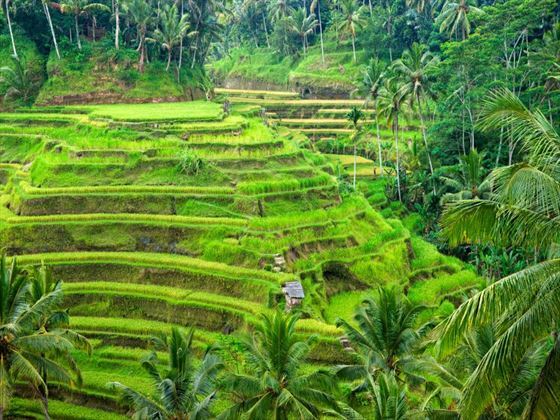 Explore Ubud on a guided walking tour, which lasts two and a half hours. Along the way you’ll get a chance to see authentic village life, rice fields, local arts and crafts and an alang alang valley, a type of wild grass used to make roofs. The tour ends in central Ubud where you can have lunch and check out the town’s cafés, galleries and shops. Later, you’ll visit Bumi Sehat, a community health clinic dedicated to helping mothers and children. The day ends with a Kecak dance performance which involves theatrical chanting and decorative costumes. Hop on your bicycle for a two-and-a-half-hour tour of Ubud. The route takes you through Ubud’s quiet backstreets to villages and ornate temples, through vibrant rice fields, with plenty of rest and photo stops along the way. Over half the journey is downhill, so it’s a leisurely tour that ends back in Ubud. In the afternoon, relax on a two-hour minivan drive up to the village of Sidemen, where you can get great views of Bali’s highest mountain, Agung. Note that bicycles and helmets are provided, there’s also a support vehicle following behind if you don’t want to cycle the whole way. Set out with a guide on a morning walking tour of Sidemen, where you’ll meet villagers and learn about the local craft and songket weaving industry. You’ll also take in the stunning scenery and enjoy a bungkus lunch before driving higher up into the mountains. The trip will take you along a crater-rim road with sweeping views over the island. Your final destination is a quiet fishing village near Lake Batur which is named after the 1,717-metre-tall volcano, Mount Batur. Rest and have dinner in your guesthouse at the base of the volcano, ready for your big trek tomorrow morning. Get an extremely early start at 3am for the two-hour trek to Mount Batur’s summit. You’ll reach the top in time to watch the sunrise over Bali, which features views stretching over the valleys and out to sea. In fact, if it’s a clear day, you can see all the way to Lombok. Be aware that the weather can be unpredictable, so make sure to bring sturdy shoes, a rain jacket, a warm layer and head torch for the trek. After descending Batur, you can opt for a rewarding soak in nearby hot springs, overlooking the lake and caldera. End the day with a three-hour bus trip to Lovina, a tranquil town on the coast that’s known for its food, massages, yoga classes and dolphins. Today you’ll enjoy a snorkelling adventure. 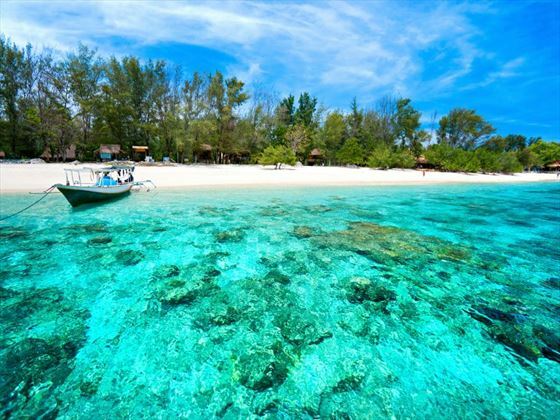 Take a short boat ride to Menjangan Island Reef, which is part of the pristine Bali Barat National Park. Look out for colourful fish and coral reefs while you snorkel in the clear, warm waters. Spend the afternoon as you please, swimming, sunbathing or strolling along the beach. On the way back to Lovina, you’ll make a stop at Banjar Hot Spring for a healing soak before a home-cooked Balinese meal at Ibu Wayans. There are a range of optional activities on offer in Lovina, but note that we don’t encourage dolphin-watching trips because they’re unregulated and can be harmful to the animals. Start the day with a one-hour drive to the hilltop village Munduk, where you’ll walk through clove and coffee plantations to a hidden waterfall. Bask in the cooling spray before heading on to Lake Bratan, famous for its Hindu-Buddhist temple which sits on a small island in the middle of the lake. Your final stop for the day is Bedugul. When you arrive, take in the atmosphere of this mountain town, which sits in the misty highlands of a volcanic lake region. Bring some warmer clothes for this portion of the trip, as it can get cold in the evenings and early mornings. Start the day with a trip to the Bali Botanical Gardens, which boasts over 2,000 plant species from across Indonesia. 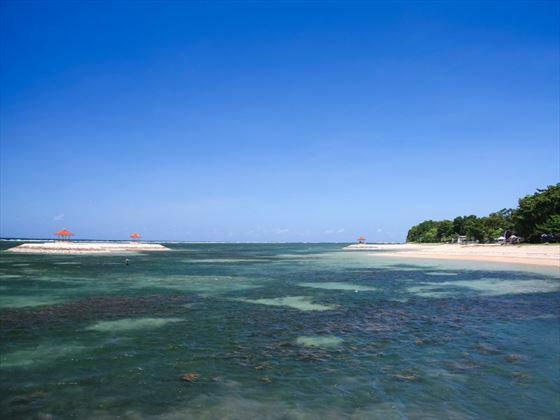 Next, you’ll drive to the white-sand beaches of Sanur, about two hours away. Spend the afternoon as you please, stroll along the five-kilometre stretch of sand and swim in gentle waters sheltered by a reef. Dine in one of Sanur’s up-market restaurants by the sea, visit nearby temples and take in views of local fishermen at work. Since this is a combination trip, your group and leader may change at this point, so there will be another welcome meeting in the evening where you can get to know your new group. Say goodbye to Bali and take a bus, then fast boat, on a three-hour journey to Lombok. When you arrive, you’ll take a bus to Puyung Village in central Lombok, where you’ll enjoy a home-cooked lunch with a local family. Your day ends in the hillside retreat of Tetebatu, which lies at the base of Mount Rinjani, an active volcano that stretches over 3,700 metres into the sky. Today you’ll explore the local area on a guided walk through rice fields ploughed by buffalos, to learn about local farm life. You’ll pass clove and coffee plantations and try some local coffee along the way. Today’s highlight is a trip to Pringgasela Village, where you’ll take part in some weaving and a Sasak feast. In the afternoon, move on to Labuan Pandan on Lombok’s east coast, a remote hideaway with bungalow accommodation by the sea. Enjoy a dose of sun, sea and sand with a boat trip, where you can stop and snorkel in some prime locations. Discover colourful coral reefs teeming with diverse marine life and have lunch at a secluded island with views of Mount Rinjani. 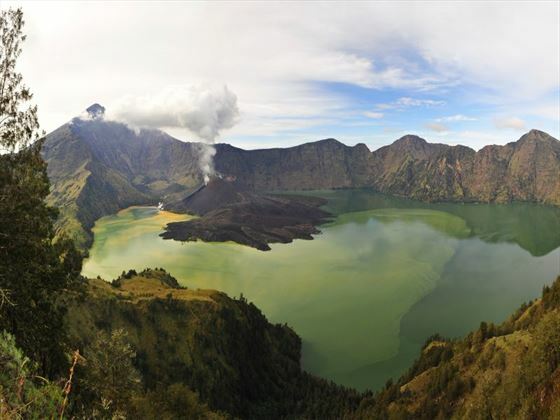 Make the two-hour bus trip to Senaru, a Sasak village set in the jungle at the base of Mount Rinjani. Take a tour led by a local from a female guiding association to learn about village life, history and customs. You’ll also get to visit the cooling Tiue Kelep waterfall, which the Sasak people believe has healing properties, take a swim to see for yourself. Continue to the west coast of Lombok and take a boat to the Gili Islands. This trio of paradisical islands are laced with soft-sand beaches lapped by topaz waters which offer some spectacular snorkelling opportunities. You’ll be staying on Gili Air, in a hotel just 15 minutes from the main port. Note that the hotel has outdoor bathrooms with a lockable external door. Settle into island life with some well-deserved beach time. This is a free day, so spend it however you like. Sunbathe and swim, hire snorkelling gear and if you’re lucky, spot some sea turtles. Other optional activities include cooking and yoga classes, or you can take a boat to visit nearby Gili Meno and Trawangan. In the evening, you’ll have a local seafood feast as a group to mark the end of your adventure. There are no activities planned for today and check-out time is 11am. It’s possible to extend your stay on the island if you’d like, or head back to the mainland. If you’re flying from Lombok or Bali, make sure you leave plenty of time for a boat transfer. To ensure you have ample transfer time, we don’t recommend booking flights earlier than 1pm in Lombok or 6pm in Bali. 10 nights in a hotel, two nights in a guesthouse and two nights in a beach cabin. Boat, private minibus and van, bicycle. 14 breakfasts, four lunches and two dinners. Ubud guided walk, Kecak dance performance, Bumi Sehat hosted visit and bike tour. Sideman guided walking tour and traditional lunch, Mount Batur entrance fee and trek with local guide. Lovina Bali Barat National Park snorkelling, Seririt Market and Banjar hot springs entrance. Munduk waterfall and Bedugul lake Bratan Temple and Bali Botanical Gardens. Masbagik village walk and pottery demonstration, Pringgasela traditional weaving, Sasak feast and village walk. Labuan Pandan snorkelling and picnic lunch, Senaru waterfall walk and village tour. Amazing savings Book your holiday by 3 May 19 and receive up to $390 discount. Travel before 15 Dec 19.